"You'll be super happy and fulfilled and making an impact if you work at X. They provide free massages and even do your laundry." This is the second to last letter on my college reflection series. I've talked about what it means to be someone valuable and uplifting to others; for this one, I want to talk about the relationship I got to develop with myself in college. As an only child, I have an unfair advantage of feeling totally fine hanging out with myself. I remember binge reading mysteries and slaying monsters on my PlayStation Portable 1000 (OG) til mid-night and tucking my guilty pleasure away in my sheets when I heard whispers as my parents finally returned home from work. I could conjure up spaceships and castles and indulge myself in my own world, and later I've come to realize the ability to enjoy solitude is a superpower. An ongoing inner dialogue with myself ensures that I don't wander too far from my own path when voices scream at me from all directions. With decent amount of persistence and strategy, I align some of these indulgences with something more valuable in the eyes of others. Reading becomes knowing, gaming becomes strategizing, and sketching becomes designing. Writing — I'm still writing. What was once my entertainment and escape have become a crucial part of who I am, because they start to have an impact not just on myself but on others. Now, when people ask me what I do for fun, as much as I know how uninspiring my answer may sound, I tell them I like to work. As a full-time student, I spent most of my time working on making things for Cornell or for startups. The best thing that college has provided me. Is not the education, but a fail-safe and allowed me to explore virtually everything with no consequence. I used to get very defensive and guilty when someone called me out for working too much or being a hermit, so I'd make self-deprecating jokes to change the topic, but I'm learning to be proud of that. The love for one's work really isn't that much different from the love for another person. It goes through phases — from initial interest, to sheer bliss, to extensive research, to total obsession, to frustration, and finally to complete acceptance. The progression is not linear but cyclical. If you stick with someone you'd discover something new about them that'd interest you again, and the same goes with the work that you do. Most people settle for something that didn't spark their interests in the first place, or they decide to let go when the obsession goes away. The lack of perseverance can explain this, but I believe it's mostly due to the misperception of "happiness" and the myth of "impactful work" created by corporate advertisement and the stories told by the supposedly "winners" of the zero-sum games in elite institutions. This could easily be tweaked and turned into an ad from a dating agency. "You'll be super happy and fulfilled and excel at whatever you do if you marry X. They provide free massages and even do your laundry." When we're disillusioned, we usually resort to cynicism, confusion, escape, or even anger: "If this is truly the happiness that everyone seeks after, why am I feeling this way?" To love one's work is not just to be "happy," which can simply be short-term gratification that may hinder long-term fulfillment. To love one’s work is to be willing to navigate our ambiguous place in this world, why are we here, and how are we relevant? Monetary compensation, prestige, and external recognition can only go so far to provide you the answers to those questions. That's the problem with lots of high paying jobs, as an inquisitive, passionate, and connection-longing soul is brutally alienated from the intention and the outcome of their own labor. People can tell you that the search bar you designed has changed lives of millions, or that the company you just saved by cutting operational cost may provide employment opportunities for thousands of people — all of this can feel extremely valuable but also extremely unreal at the same time. That's why it’s not surprising to find a fitness instructor with ten happy clients so much more fulfilled than an engineer in Silicon Valley who's making the whole human race better off. An immediate and deceivingly simple remedy to this problem, as I often tell others, is to work on a side project that you actually care about and make sure that thing is valuable to others (this is why I started BKYD with Maya). Even if the outcome isn't what you expected, the experience will still be highly relevant and unique to you. As I'm wrapping up this letter, it's becoming clear that my relationship with my work is indispensably tied to my relationship with myself and with others around me. And the fundamental secret to all relationships? Love 💙. 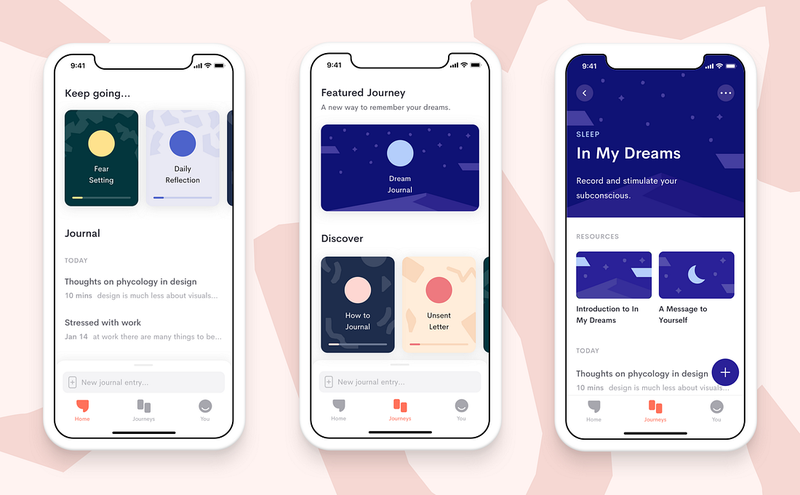 Since I write extensively on self-reflection, I also want to highlight a journaling app that many friends recommend. I tried it for a few days, and I’m liking it. Jour’s goal is to make the cathartic, cost-effective and empowering practice of journaling convenient and accessible to everyone. The founder Maxime wrote a Medium post on the creation of Jour. I’ve always enjoyed the benefits of writing but wasn’t aware there has been research done to validate the actual health benefits. A 2005 study by Cambridge University found that “expressive writing” has measurable psychological and physical benefits. I’ve been trying to get more friends into writing publicly, and I think journaling is a good place to start. Plus this app is absolutely beautiful. 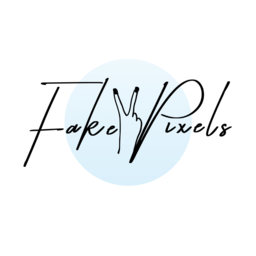 As I mentioned in my last issue, I’m making this newsletter a channel to discover and connect creators and thinkers who are actively navigating what our future could look like. Reply & let me know if you or anyone you know want to be a part of this community. I’ll reach out for a short interview. Our first guest is Calvin Liu, the Strategy Lead for Compound, an open protocol that makes it easy to borrow and lend cryptocurrencies on the Ethereum blockchain. ✨ Something that you’re working about & why it matters. Compound is a money market protocol on the Ethereum blockchain — allowing anyone to frictionlessly earn interest on or borrow crypto assets. Each market has dynamic interest rates, which float in real-time as market conditions adjust. All the new blockchain assets that are hot and exciting, but they lack a fundamental financial infrastructure of efficient interest rates. Over time, hundreds of trillions of dollars of assets will be tokenized, but the institutions that deploy them will require the usefulness of traditional financial markets. The Compound protocol is a first-of-its-kind experiment in economics and decentralized finance. ✨ Something you sees that most people don’t see yet. There is a lot of anger brewing in corners of the internet, especially anger towards tech companies. My friend Trevor McFedries, the founder of BRUD and the creator of @lilmiquela recommended me to look into Politigram, Instagram's sub-culture political communities. It made me reflect on what all these emotions entail and what they may lead to. ✨ Something that’s underrated and overrated right now. ✨ Something that helps with your productivity. I’ve been really fascinated by the calming power of martial arts, especially Brazilian Jiu Jitsu. It has made me a much more emotionally stable person, and it’s surprisingly intellectually stimulating as there’s so much strategy involved. I also think everyone should experiment with some martial art to release some pent-up aggression. ✨ Something that you would tell your 22-year-old self. You will be constantly living in the world of obligations, take some time off and go backpack travel. Indulge in the weightlessness and freedom that cannot be found elsewhere when you do. Also, I wish I’d been more intellectually curious and hungry. I had a great conversation with Calvin about the future of money, finding motivation, two kinds of successful people, and the importance of connecting with oneself through traveling. If any of these ideas interests you or if you want to discuss this further, reply to this email. 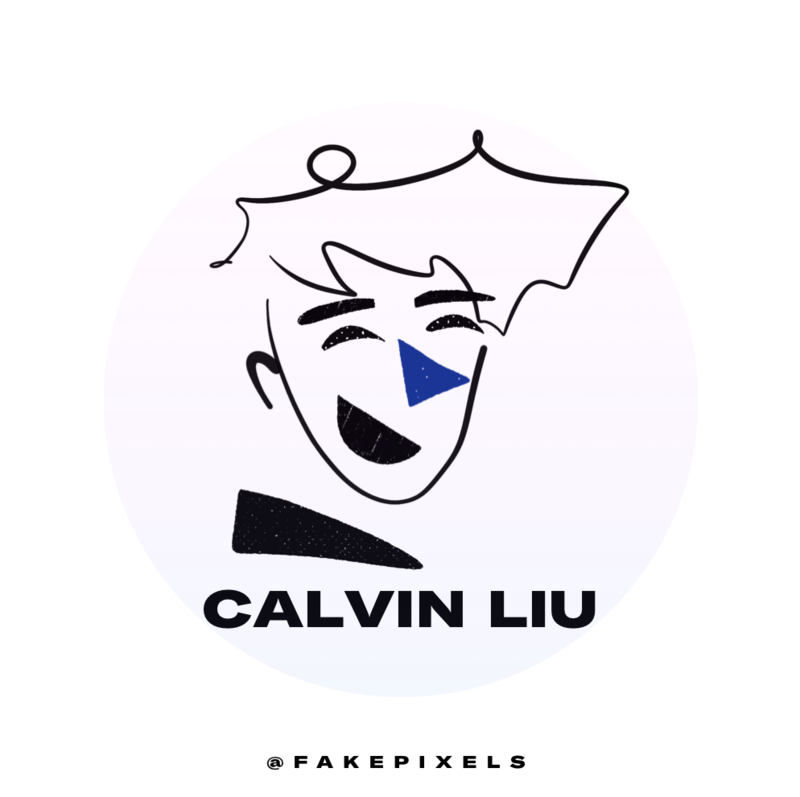 You can also find Calvin through Twitter and his website. Maslow (the man who created the hierarchy of human needs) proposed that the path to self-transcendence and, ultimately, greater compassion for all of humanity requires the self actualization. So how far are you from your actualized-self? And what the hell is self-actualization? Kaufman, a psychologist at Barnard College, Columbia University, believes it is time to revive Marslow’s concept of self-actualization. He hopes that rediscovering the principles of self-actualization might be just the tonic that the modern world is crying out for. So he designed a test that I stumbled upon. 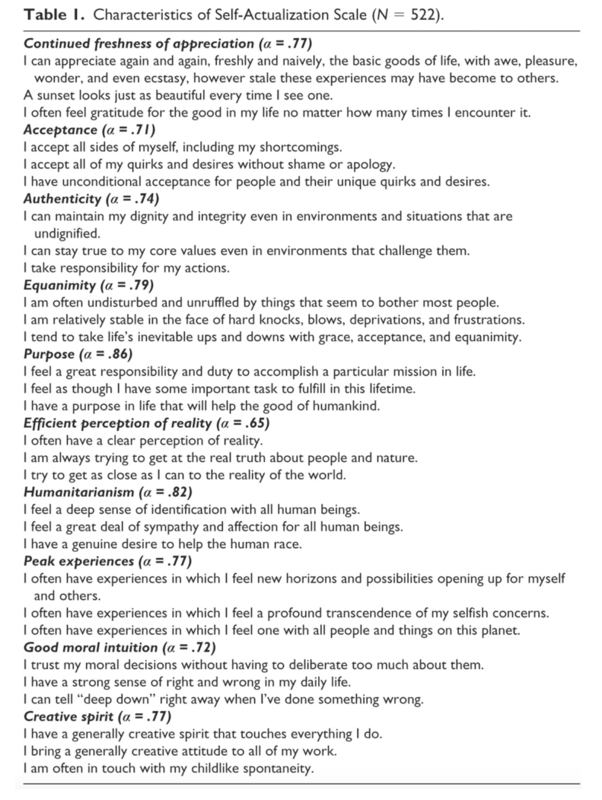 Kaufman found that higher scorers on his self-actualization scale tended also to score higher on feelings of oneness with the world. He believed self-actualizing individuals are able to paradoxically merge with a common humanity while at the same time able to maintain a strong identity and sense of self. 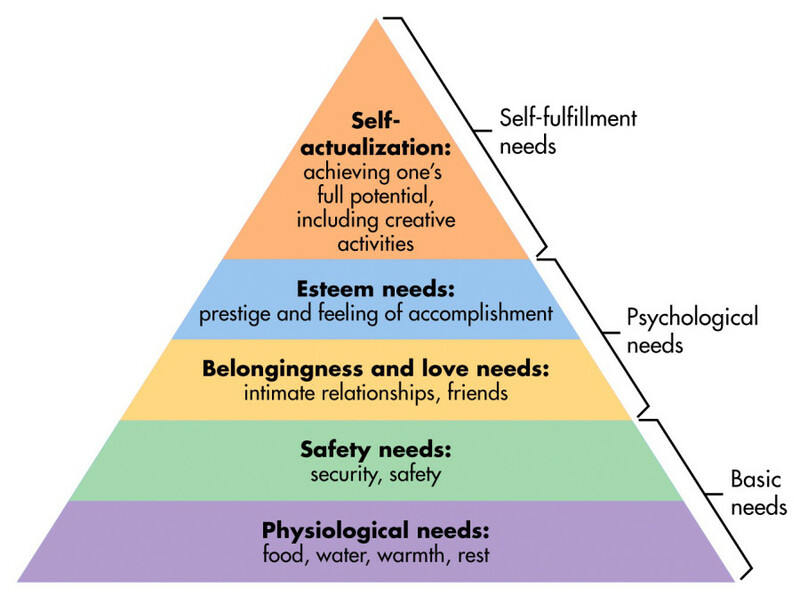 The new test is sure to reinvigorate Maslow’s ideas, but if this is to help heal our divided world, then the characteristics required for self-actualization, rather than being a permanent feature of our personalities, must be something we can develop deliberately. He also said self-actualization is almost impossible at a young age, but some of us are at least trying to get there, and there seems to be a way.